A Hack Sign wallie I originally made into my site layout .. then just took it out and revamped ..
not sure about the text ..
Ooooh...... Interesting! It's like she's being sucked in! Hey, it's good! I like the blurring effects, it looks kinda like a black hole. 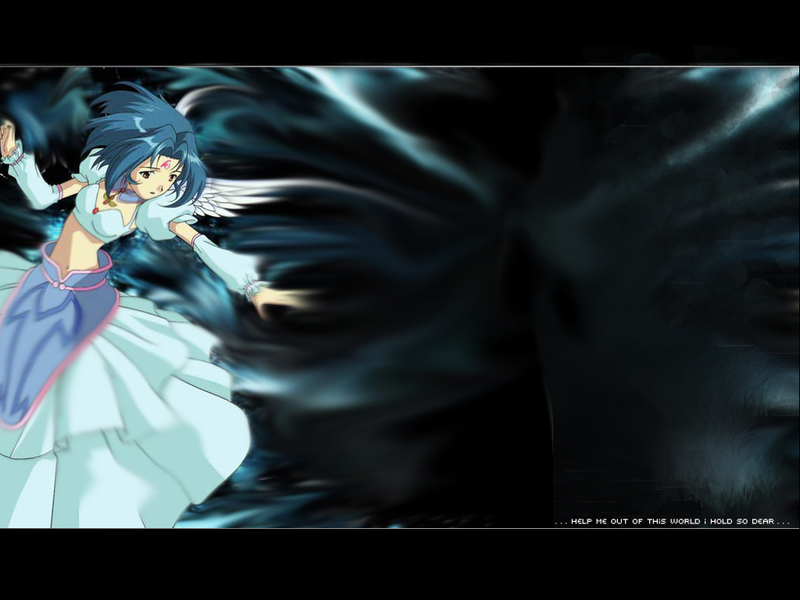 YEA YEA .hack//sing weeee..........I LOVE THIS wallpaper SOO koool ^^. it looks like a black hole, doesn't it?! trop puissan le fon décran!!! I love the background for it! So liquidy!! It's a very good job!